This shows a close-up of this VCT floor in need of stripping and re-waxing. This image shows the floor before stripping and re-waxing. After stripping, waxing, and burnishing. Compare this close-up image to the before image. 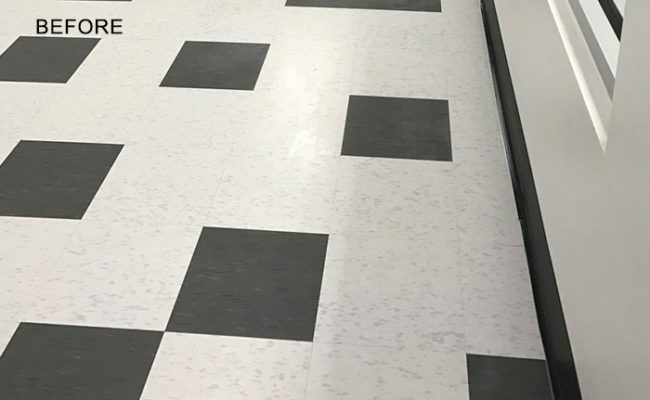 This VCT (vinyl composition tile) floor in a very busy medical device manufacturing facility was subject to high traffic and use, requiring daily janitorial services. 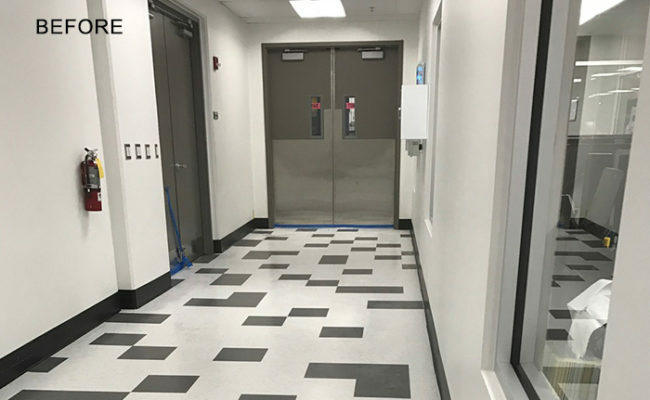 Unfortunately, the cleaning service used a high alkaline cleaner on the tiles, resulting in the unsightly finish you see in the BEFORE images. 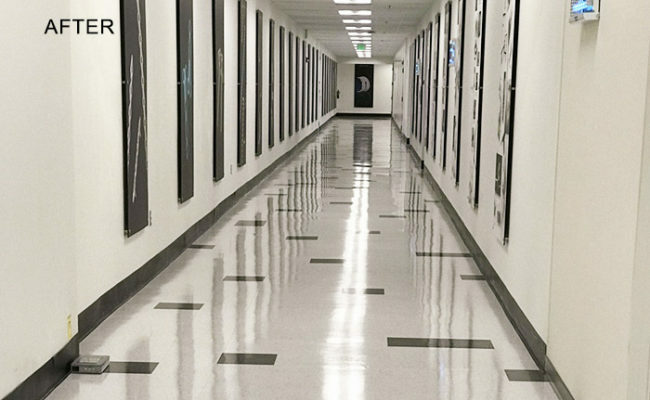 Our client, located in Naples, FL, expressed concern — and rightfully so — over the dull and unattractive appearance of the floor and how it might be affecting the morale of employees, not to mention making an unprofessional impression. 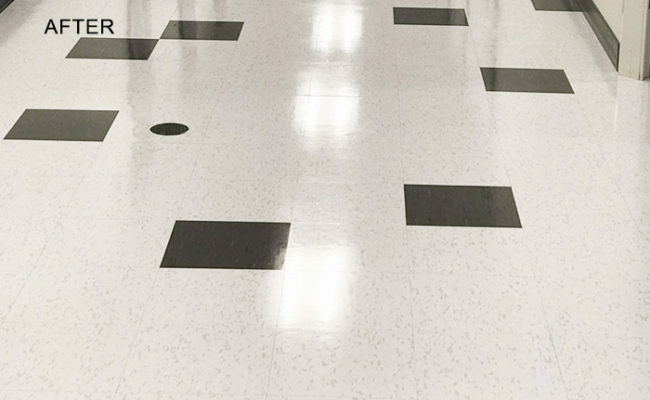 The first step was to deep clean the black and white tile floor. We used a commercial floor machine mounted with brushes and neutral floor cleaner. The brushes rotated at a high speed to extract soils, contaminants, and leftover coatings. Next, we removed the brushes from the machine and replaced them with a burnishing pad. The pad also rotates at high speeds to buff and polish the tile to the beautiful sheen you see in the AFTER images. In the end, the results were spectacular. To learn more, visit our Commercial Floor Care page. For a FREE estimate on tile cleaning services throughout the Naples, FL area, use our contact form or call (239) 455-1167 today.